Recreational boating is a big thing in Atlantic Canada. With countless miles of coastline, with just about every configuration; sandy beaches, shingle islands, mountainous coasts and rocky shores on the Atlantic, the Fundy, the Northumberland Strait and the Gulf of St. Lawrence coasts; with some of greatest tides in the world and some of the warmest ocean waters north of the Carolinas it’s not surprising many Atlantic Canadians enjoy their summers next to the ocean. Inland there are beautiful navigable rivers and lakes such as the Saint John River in New Brunswick, Bras d’Or Lake UNESCO designated Biosphere Reserve, hundreds of secret cottage country fresh water lakes and rivers and streams that keep boaters and recreational fishers happy and busy. The Atlantic provinces account for seven per cent of the recreational boating industry in Canada and Atlantic Canadians own approximately 10 per cent of boats in Canada. This figure is higher than the Atlantic Canadian percentage of the population of Canada of six per cent. Atlantic Canadians like boating, in fact approximately 860,000 go boating every year. The Atlantic Canada recreational boating industry is well represented in rural and urban situations providing total revenues of $432.5 million, employing over 4,000 people and providing taxes to governments of $36.6 million. The Atlantic Marine Trades Association (AMTA) represents the businesses working in the recreational boating industry, boat and motor dealers, yacht brokers, marine equipment retailers and wholesalers, boat and motor service providers, sailmakers, engine manufacturers, marinas and other required services. Across Canada there are five Recreational Boating Trade Associations and also the National Marine Manufacturers Association. Together these organizations promote boating in Canada through their marketing program Discover Boating and work with the legislators for recreational boating in Canada, Transport Canada’s Office of Boating Safety through their various advisory councils, regionally and nationally. In the Atlantic Region, the AMTA promotes recreational boating with its pocket guide, Boating Atlantic, an annual guide to marinas, yacht clubs, events, services, boating safety and more which is distributed at boat shows in the region, at boat shows across Canada through the Discover Boating marketing program and a marinas and yacht clubs and through direct mail. In Nova Scotia, the Association owns the annual Halifax International Boat Show which is produced by Master Promotions Ltd. and takes place at the Halifax Exhibition Centre in February. Although February seems like a strange time to be looking at boats, the crowds love coming out to discuss boating and dream about summer. The Association works closely with the Nova Scotia Boatbuilders Association for the Marine Service Technician Trade which was recognized by the Nova Scotia Apprenticeship Agency in 2016 and had an apprenticeship program established in 2017. A marine service technician services and repairs, refits and upgrades marine vessels (motor and sail). The service and repair of marine vessels includes structural, cosmetic, electrical and mechanical work. Certified marine service technicians can be found at marine dealers and service centers in Nova Scotia. Sail Nova Scotia is another important resource for the Trades Association. Part of Sport Nova Scotia, Sail Nova Scotia’s vision is to make high performance sailing and recreational boating lifelong activities for Nova Scotians through excellence in competition and training. A source of information about competitive sailing events in the region, Sail Nova Scotia brings national standards and policies for excellence in training, competition, and safety for sailing and recreational boating in Nova Scotia. 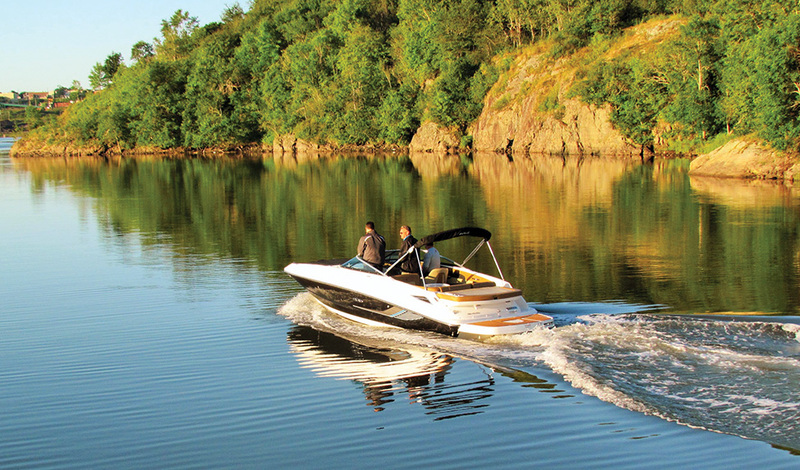 Recreational boating thrives in Atlantic Canada, particularly when the weather is nice in the summer. No Replies to "AMTA Promoting Recreational Boating in Atlantic Canada"